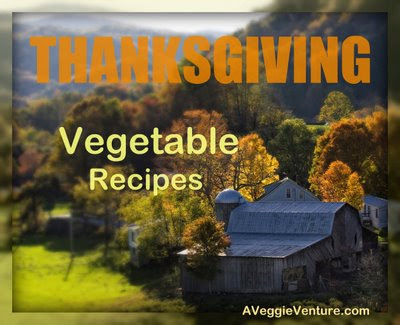 The latest collections of Thanksgiving vegetable recipes are now available! Vegetarian Entrée Recipes for Thanksgiving. Turkey and dressing may take center stage but ahhhh, Thanksgiving vegetables. The 2006 and 2007 collections of Thanksgiving vegetable recipes were hugely popular, especially what became 2006's famous World's Best Green Bean Casserole and 2007's surprise favorite, the low-carb Cauliflower Cream. and a little different around here, no skimping on butter and cream and cheese! 'Featured recipes' are ones published in 2006, 2007 and 2008 especially for Thanksgiving. 'More ideas' are favorite vegetable recipes that pair well with traditional Thanksgiving foods. Some recipes have been published in my food column Kitchen Parade, online at KitchenParade.com, where November is also all about Thanksgiving recipes. This year, how about making an American Apple Pie? Readers say that hands, down, the recipe for Flaky Tender Pie Crust makes the best pie crust, ever! Do check out all the tips for How to Make Flaky Tender Pie Crust, many will work with your own favorite recipe, too. A Veggie Venture is the home of Veggie Evangelist Alanna Kellogg and is the year-round award-winning source of free vegetable recipes, quick, easy, and yes, delicious. If you're a newcomer and would like to see what it's like around here -- except in November when it's all Thanksgiving vegetables! -- start with your favorite vegetable in the Alphabet of Vegetables or dive into all the Weight Watchers vegetable recipes or all the low carb vegetable recipes. Sign up for e-mail delivery of new recipes. It's automatic, it's free, it's easy! Many thanks to inspiring photographer Marie Freeman, who photographed the autumn barn scene for this year's Thanksgiving image. 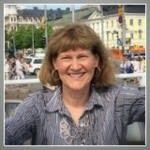 Marie publishes at Blue Ridge blog -- if you love Appalachia, love country scenes, love a happy dog, then do check it out! All November, A Veggie Venture is partnering with O Olive Oil to give readers of A Veggie Venture the chance to experience truly great citrus-pressed olive oils and barrel-aged wine vinegars. There are Salad-Lover Prizes and two Grand Prizes. No purchase is required, it'll take just a minute. Check out how to win! Plus, O Olive Oil is offering a 15% discount on all purchases during November 2008. Just click this image below, then enter the coupon code of 'veggie' (without the quotes) for the discount to be applied. I saw the image and thought you'd be putting out a recipe book with all of your tips and such. I had mild disappointment when I realized it wasn't a book, but I'll be alright. I am not cooking for Thanksgiving, but I have forwarded this site to my sister who is. Thank you for all the yummy recipes. My children enjoy all the different ways that I now cook veggies. This just might be one of the BEST posts ever. I love Thanksgiving! Sarabeth - Are you glad you're not cooking or do you wish you were? I don't know what I'd do if I wasn't cooking on Thanksgiving :) It's my second favorite part (next to eating, naturally). Ive spent a ton of time here since the Quaker event was announced and am thoroughly convinced I need you to either adopt me or MOVE IN HERE. So glad I found this site! Thanksgiving is going to be YUMMY! 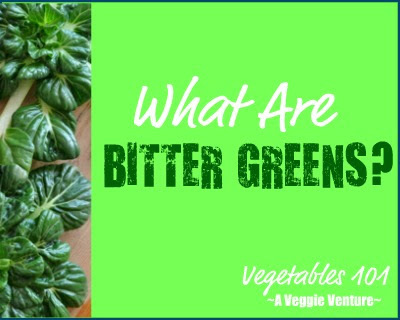 As a big fan of veggies, I'm so glad to have discovered your blog through BlogHer. I intend to make it a habit. Alanna - happy Thanksgiving from all of us here at the Great Big Veg Challenge. Been a rather absent blogger last month but have returned with a renewed enthusiasm. THIS WEBSITE IS AMAZING! Love the way you lay it all out. Easy to find a recipe, neat. Will definitely bookmark this wonderful find.